旅行中の海外で友達になる楽しさ。 Fun to make friends in overseas countries while traveling. 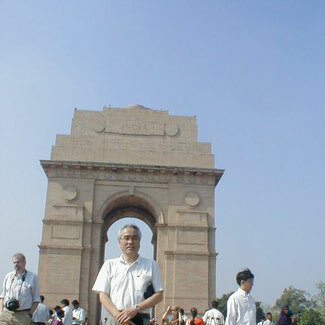 It a 42 meter high arch shaped cenotaph (not a triumphal gateway) built in Delhi, India. 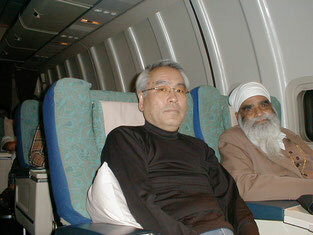 We often see this on TV as one of the typical sceneries in India, a friendly nation for us Japanese. 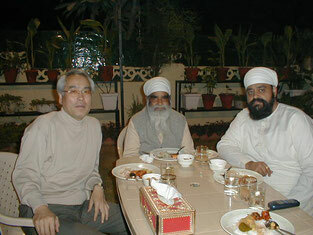 I visited this place when I made my first visit to India to attend the annual general meeting of APO (Asia Productivity Organization, an international organization) there as one of two members from Japan. I happened to meet an automobile related Indian business man in the business class section, which is rare case for me, from Bangkok to Delhi and entertained to their evening dinner. It is one of the unforgettable experiences overseas.